On our quest to encourage and teach others to make games, we have started a new series of articles called the SLG “Academy”. For our first post, we are doing a “gamestorm”. Gamestorming – Brainstorming a new idea for a game. Or in this case, thinking of different cards you would create for our made up game, “Aliens vs. Animals”. I will first tell you about “Aliens vs. Animals” and then give you an example of what I would make. This exercise is intended to be fun and inspiring. Though if you end up loving the idea and want to publish your own game from it, then go ahead. That would be awesome! I don’t want to spend too much time planning out the entire game, but I will tell you the important info you need to know. That way you can focus on thinking of fun cards you would create. Theme – It’s 2016 and 2 aliens have just fallen to earth in the middle of “region of your choice”. Aliens must eat animals in the region in order to survive. However, if they are both eaten by the “strongest” animal in the region, then they lose. Goal – The animals win if both aliens die. The aliens win if there are 4 or less players left. For example, if there are 1 alien, 1 strongest animal, and 2 other animals left at the end of a night (round), then the aliens would win. *Even dead animals win if the animals win. Likewise, a dead alien wins if team alien is victorious. If you have played Werewolf, then it is similar to that (though you should still skim the rules below). But if you haven’t, then it’s ok. I will explain. Also, this 1 minute video teaches players the basics of Werewolf which may help you understand “Aliens vs. Animals”. The moderator will shuffle the 10 animal cards and all players will draw 1 card. The player with the “strongest” animal reveals their card. They cannot be attacked (eaten) by the aliens. The mod has the players close their eyes. Then the mod has the 2 aliens look up and see each other before closing their eyes. The mod has other animals look up (one at a time) and take their special action. Then close their eyes. The mod has everyone “wake up” (open their eyes) and start talking. Players will start claiming to be certain animals even if they aren’t. After some discussion (2-5 minutes), players will “go to sleep” for the night (close their eyes). The mod will have the “strongest” animal player wake up and look at another players card to “attack” it. When an animal is “attacked”, it is killed by the strongest animal unless noted on the card. If the animal is killed, the strongest animal player will leave the card face up to signal to everyone that the animal is dead. If it “escapes”, then the card is kept face down and the aliens may attack it. The mod has the strongest animal close their eyes. Then, the mod will have the 2 alien players wake up and each point at the same player with a facedown card and “attack” that animal. That is the animal they will attempt to eat that night (some animals aren’t killed when attacked). *Aliens may not attack a dead animal (face up) unless noted otherwise by the card. The mod has the aliens close their eyes. Everyone wakes up for the day and the mod tells the players which animal was attacked by the aliens that night. The player that was attacked by the aliens reveal their card and resolve its effect. Repeat this process until the Aliens or Animals are victorious. Now for the fun part. This made up game has already started making my brain flow with ideas. That is what creative minds like mine do. The challenge I have for you and me is to come up with ideas for what the 8 different animal cards are and what they do. You could also come up with special powers for the alien cards. But for my example, I am just going to make up the other 8 animal cards. 1 Elephant – When the Elephant is killed, (s)he kills an additional animal (other than the “strongest” animal). 2 Cheetahs – When a Cheetah is attacked by the lion, it “escapes” and remains alive (card facedown). The lion may not attack that player for the rest of the game. 1 Giraffe – Special Action: Look at another player’s animal card at the beginning of the game. 2 Zebras – Special Action: Zebras look up and see who the other Zebra is at the beginning of the game. 1 Lion cub – Special Action: Reveals themself to the lion at the beginning of the game. The Lion cannot attack the Lion cub. This game may be really fun. Or may be bad. Who knows? I do want to try it out though. The important takeaway from this exercise is that it helped me practice creative thinking. Which is important for making your own game. And it also was very fun! Feel free to take this idea and make whatever game you want out of it. You can make a 5 player version of the game and test it out with your family. Actually, I will probably do that soon. We typically have 5-7 family members willing to play bluffing games. I’m interested to here what animal you gamestormed? Let me know what you thought of our first SLG “Academy” article in the comments below. 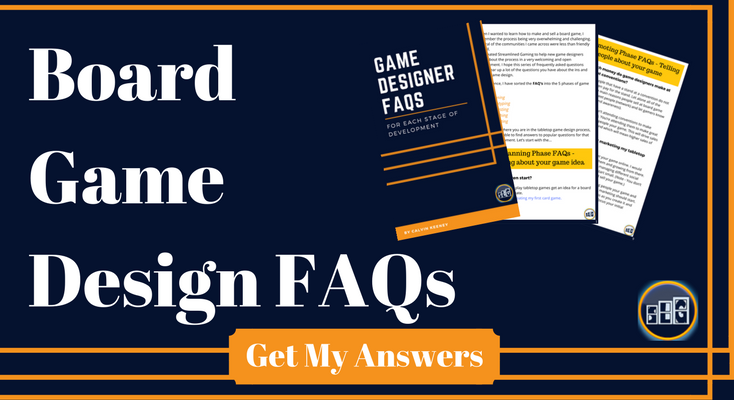 Have you ever wanted to know how a digital card game is made? A game like Hearthstone, Eternal or Duelyst? I wondered that so I interviewed a new friend of mine that told me step by step how he made a digital card game.